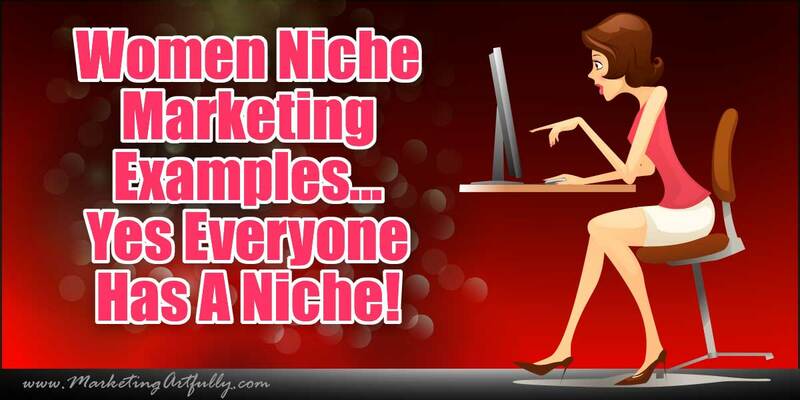 Women Niche Marketing Examples - Yes Everyone Has A Niche! You are here: Home / authority marketing / Women Niche Marketing Examples – Yes Everyone Has A Niche! 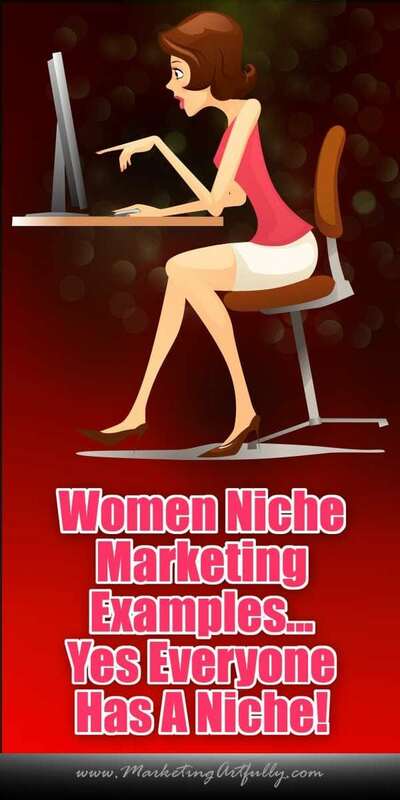 Women Niche Marketing Examples – Yes Everyone Has A Niche! Niche marketing is bandied about as a term A LOT in my world. Back in the bad-old-days of SEO there were scads of “niche sites” where people would just call themselves an expert and the post 25 articles about a specific topic and BAM, they could grow a niche email list. Well the times they have changed and niche marketing looks a whole lot different today than it did in the past. Now you have to have an actual plan and mostly a strong main figure to do the authority marketing aspect. People who were “suckers” before are looking for real people to follow that have a niche that is interesting to them! Now some of the examples are men, but I think that there is such opportunity for women to jump in and really target a niche and make some impact! this is one of the top YouTubers who does have stupid innane videos BUT that is not the point, the point is that he did the work to grow a following that loves him! This one may get a little long (which one doesn’t) but it is a combination of niche information along with actual “in the field” examples of what is working now! So I am a wimp, a spineless worm that cannot pick a niche. I like my Realtor peeps too much and my author peeps make me happy…oh yeah what about the rebel entrepreneurs who I adore too. Ebook Nerds on Facebook – Totally lame, I don’t try hard enough! Nonfictionmarketing.com – Okay, I get hits and it has the potential to be a great niche site! Author Marketing Mini Course – How To Build A Social Media Author Platform – great course, good reception from the marketplace…amazing how that niche thing works! YEARS ago, Gary Vaynerchuk talked about this! If you haven’t read Crush It yet, stop right now, go and read it and come back! That was in 2008 and I think it is even more true today. Big brands need to have a place to advertise and spend money so if you grow a list or have followers or get hits from a certain type of person, you will win! Smurf it up! So the bunny chick loves bunnies! 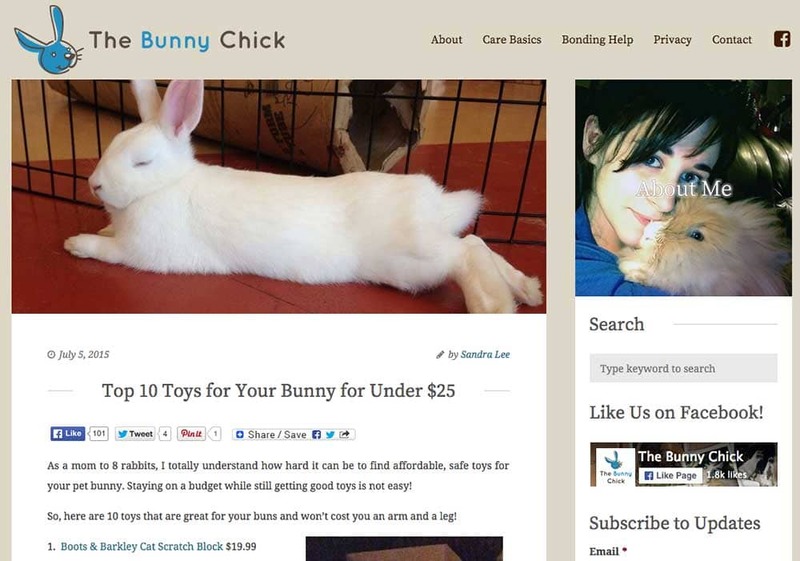 She writes about bunnies and has posted a number of times about her recommended products. It seems like her main form of communication is via blog posts. Her Facebook page is smallish (1880 people) BUT she is doing giveaways! 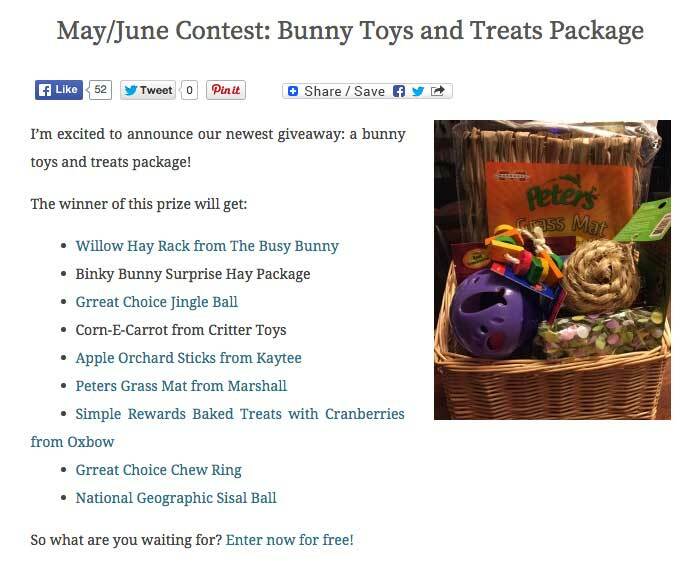 For May/June she had a giveaway that included a fair number of bunny things…:) Now, this time she might have had to buy them, next time she might get free samples from bunny manufacturers and later than that she might charge a premium to be the bunny give-away item. This is truly a “if you build it (your list and influence) they will come”! 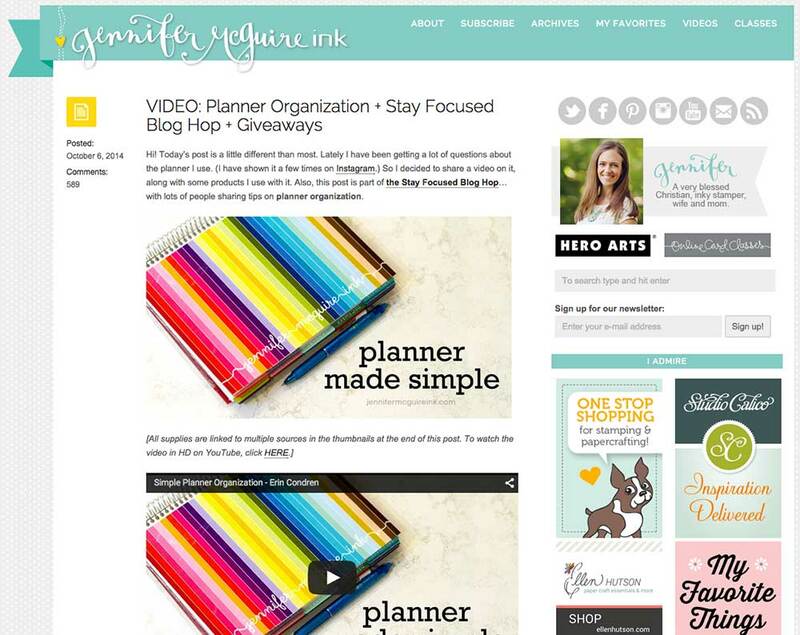 Jennifer is one of my favorites in the creative blogging space. I have been watching her for a while and she seems to be growing at a really nice pace! 1. 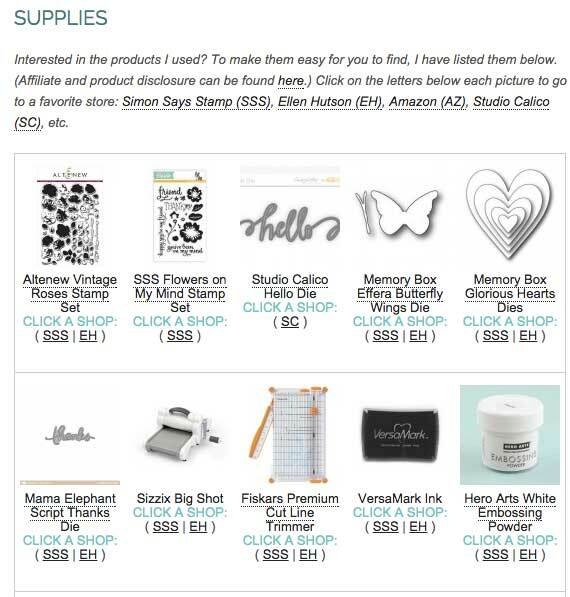 Your website is your hub! Each of these women has a bunch of different social and video properties but they also drive everyone back to their website! 2. It pays to be deliberate. As with these ladies and mommy bloggers, these gals are dedicated to helping AND selling products. You could do this with your content…have a great content piece and then make sure to have all the additional sales opportunities listed. 3. You CAN do what you love and monetize it with a little bit of deliberation. I tend to like animal and crafting blogs but here are some other niche marketers that are amazing which you could copy! Last but not least, please do not get hung up on the fact that these women are selling products or that they are business to consumer or anything else we like to state to make ourselves feel better. Instead focus on what they are doing that we CAN use in our services or marketing businesses!